One of the spaces where 3D printing has the most potential for immediate impact is in footwear. In the past year we have seen various announcements about 3D printing of shoes including Kickstarter campaigns, and major players like Nike and Adidas. 3D Printing has obviously hit a tipping point in the field in terms of print quality and material stability. In many ways, it is a bit of a surprise that the adoption of 3D printing footwear has had a relatively late adoption. Our feet, more so then many of our other body shapes, are uniquely shaped. And we can all probably point to sticking with certain brands simply because the shape of their shoe matched the shape of our foot, irrespective of the style or color of the shoe. And there are at least the same number of women that have chosen a shoe based on the style or color only to have their “individualized” foot suffer the consequence. 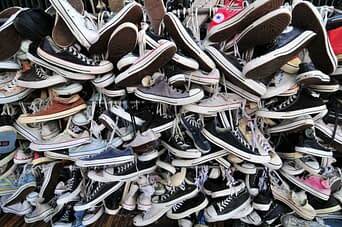 But shoes also have a second unique marker in terms of clothing and that is the rate they are worn through. Most runners will recommend switching out shoes after 500 miles (800 km). Depending on how far you are running per week, that can often be 3-6 months. Shoes that are worn on a daily basis often don’t fare too much better, depending on the activity of wear a shoe sole can often be worn to replacement within 1-2 years. What becomes of the waste? The Netherland’s based SLEM, one of the thought leaders in terms of footwear, is taking the lead in approaching the both problems. In 2015, they presented at the GDS Trade Show in Duesseldorf as the only company presenting industrial-grade shoe production using 3D printing. In 2016, they wanted to set the bar a notch higher with the question – how can we continue to customize shoes with 3D printing and become a sustainable alternative to current production. The answer came from BioInspiration, the German-based producer of WillowFlex, the world’s first flexible 3D print filament from compostable raw materials. Their Kickstarter Campaign in late 2015 was the first time that a 3D printing could be both sustainable and flexible – meaning it was the first point that it was feasible to be used for producing shoes. In preparation for the trade show, SLEM printed a series of shoe soles in their trends lab and experimented with printing directly into the fabric to show the potential for melding design and 3D printing into a single production step. The current production is still only as prototypes to verify the settings and best practices of working with the material. But there is no question that sustainable materials will become part of the palette in footwear production. 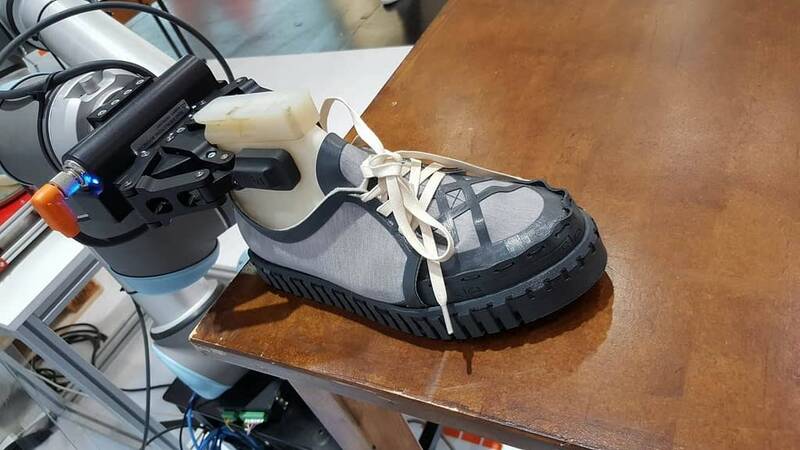 SLEM is known as a thought leader in the footwear industry, and their early adoption of Industrial 3D Printing and Robotics to produce shoes has really put them on the watch-list for the footwear industry. That is why their emphasis on moving towards sustainable materials has also garnered attention on the trade-show floor. Like with the organic food movement, the consumer pressure for products that reflect a social and environmental responsibility will only grow in the coming years – so the companies that can be first to meet those requirements will have a distinct advantage in the field. 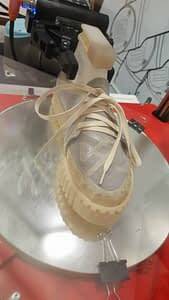 As production systems develop for 3D Printing shoes, it will provide a direct competition to traditional production and marketing methodologies. The partnership of BioInspiration and SLEM represents the synergy that comes from matching design quality, customer needs, customization and environmental awareness. SLEM is an international innovation and education institute for footwear. The name is an acronym that stands for Shoes, Leather, Education, Museum. We are providing a unique full-time Master program for Footwear Innovators and a wide range of short courses and workshops for both students and professionals. SLEM’s trend lab is at the heart of all our activities; the continual research and analysis assure that all programs always offer the very latest information, presented by visionary experts from the field. SLEM also provides trend information and consulting to customers around the world, through custom made projects and (online) SLEMinars.